One of the best things that someone living in Miami FL can do is know of a Broward County stucco repair service provider. Although the superior choice for Florida buildings, every structure will require stucco repair services eventually. When properly maintained, your exterior walls can last at least 25 years without much concern. However, how many of us keep up with repairs and service the way that we should? Whether you get caught up with work, remain short on free time, or just don’t know who you should call, it’s simple to see your stucco degrade faster than you anticipated. No matter what condition your outdoor walls currently remain, chances are they could benefit from an experienced stucco repair Broward County provider. And at Miami EIFS, no one achieves the level of quality that you expect at our affordable pricing daily. Whether you’ve noticed stucco cracks, gaps between layers, or even need new installations, you won’t find a better team of contractors than ours. Call now and give your home or office the best stucco contractor Broward County has to offer you. And more professional stucco services. Whatever it takes to keep moisture out of your home, we guarantee a better-defended structure for less every day. Contact us to keep your house safer from weather and damage today. Stucco walls stay the most efficient way of keeping water and moisture out of your home’s interior. However, when your outside walls no longer stay capable of keeping water out, you know that your home needs help. Unfortunately, minor water damages can exist for weeks or even months before they develop noticeable symptoms and warning signs. By then, however, it’s already too late, and you already have mold and mildew forming. Many things cause moisture issues for your exterior surfaces, from yard sprinklers to hurricanes. Whatever it takes to keep water from entering your home, our stucco repair service contractors know how to complete it fast. And more water damage repairs. There’s no need to ignore repairs when your affordable stucco experts remain here for your call every day. Contact us now and keep your home safe from moisture damage. The typical homeowner believes that their walls get built from materials that repel water. While these systems do hold up better to daily weather and moisture hazards, it isn’t inherently waterproofed. To achieve better stucco waterproof conditions requires us to use several specialized repair products that help it stay drier for longer. 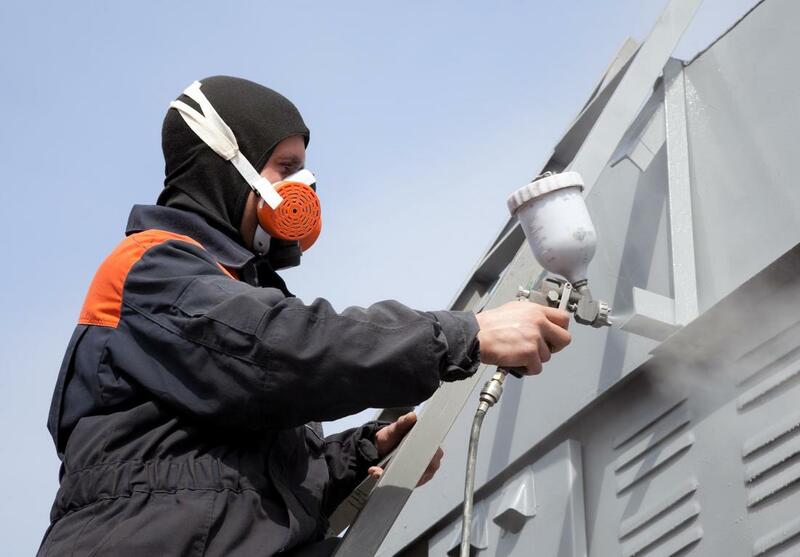 Choosing us means giving your buildings waterproof paint, sealants, and plastic barriers, we can help you keep moisture out more efficiently than ever before. The process is not complicated, but it does require an experienced contractor to get it right. Even if someone applied them all, they wouldn’t last for very long if they didn’t handle it right. When you need to know that your walls remain better protected from rain, flooding, sprinklers and more, you need our team to keep you dry. Choose Miami EIFS today for all your stucco waterproofing needs. Your exterior spaces remain far more straightforward to maintain when they had gotten installed the first time correctly. Unfortunately, all too often, an installation team cuts corners and works too fast, creating more mistakes than necessary. Even if the finished product looks right, they may not have installed interior layers right. Any mistakes during the construction process will soon lead to water seeping inside, causing any number of problems. Instead, we remain the trusted choice for stucco install Broward County services. Whether you’re beginning a new construction project or need the existing surfaces torn down and rebuilt, we handle it all for less. Why choose anyone else with your job when you know that you need an expert to get the job done correctly? Choose the trusted name in local repair solutions for your home or office today. As a business owner, finding repair services for your company is often a frustrating experience. Commercial stucco repair Broward County contractors charge too much, lack experience, or leave you with buyer’s remorse once they drive away. Instead, we treat your structures with the same level of care and respect that we show residential customers. We believe everyone deserves to have the long-lasting protection that we can create for any building that needs our help. Whether you’re looking for specific stucco finishes or custom corporate paint colors, we remain the best choice for you every day. Turn your office into a proper headquarters with a better appearance for your company today. When you need to keep your curb appeal high and your maintenance expenses low, you can continue depending on us to provide you with quality stucco surfaces that last. Contact us today to give your company the best repair contractors around. Once we fix your water damage from the outside, you may think that we’ve finished with your service call. However, there is still the matter of repairing popcorn ceiling in the rooms where moisture had already spread. Repairing ceiling water damage takes more than a quick touch-up of paint. More often than not, we must cut out the damaged portions of your ceilings and replace them with new drywall. After that, we can stain, texture, and paint, leaving it looking like there was never a problem at all. Other companies may only provide you with new gypsum and hastily painted surfaces, making it evident that work had gotten done. We do our best to leave you with new ceilings that look right at home no matter the extent of your water damages. Call today for the best in popcorn ceiling repairs. ​No matter where in town you live, our installation and repair contractors will be there for you. Receive the quality of care your buildings deserve and hire us today. Why Hire Us? Some homeowners believe that to keep their home’s exterior properly maintained, they have to take shortcuts with their stucco systems. That often results in cheap adhesives for cracks and alternative materials for minor repairs. Unfortunately, if you aren’t aware of how to match texture and paint, anyone passing by can tell that you took the easy way out. And to add insult to injury, most of these inefficient fixes lead to moisture damage anyways before long. The only way to ensure that your stucco walls have everything that they need to stay durable is by choosing our certified repair contractors. Not only will we leave your residence looking better than before, but we can save you a ton on any job. From new construction installations to routine patches and painting, we can best assist you with your exterior walls every day. See why we remain the trusted name for affordable stucco solutions. Call NowWhen quick and easy remedies no longer prove useful for your outdoor walls, it means turning to the local experts for help. More Broward residents call us for help than anyone else around. See the difference that our contractors make for all your stucco surfaces and ceilings. No one gets better results than Miami EIFS does for more customers daily.